Approximately 10,000 people retire per day as the baby boomer generation becomes of age. A large percentage of these retirees are tradesmen. In losing these skilled and knowledgeable tradesmen, the need to identify, hire, and retain new talent is paramount. The Facilities Management (FM) Apprenticeship Program, will be a flagship program in the UNC System established to fill the gap in the area of trade skills. The program will provide selected applicants with an opportunity to train under the guidance of skilled tradesmen, learn trade skills theory in a community college classroom setting, and work full-time in the FM department with an opportunity to establish a career. During the four-year program, apprentices will work and train, in our facilities, alongside mentors and journey to advanced tradesmen. 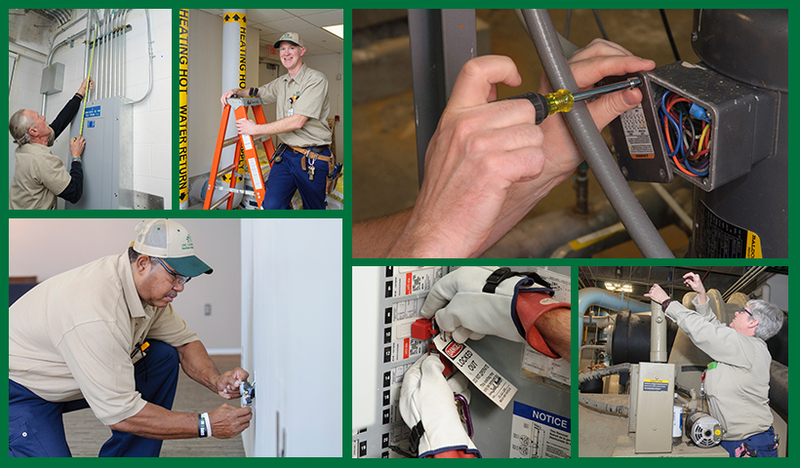 In its inaugural phase, two apprentices will work as electricians. As the program evolves, other trade skills will expand program offerings. The positions will be posted on jobs.uncc.edu in May. Read through a list of Frequently Asked Questions for program details and qualifications to apply.